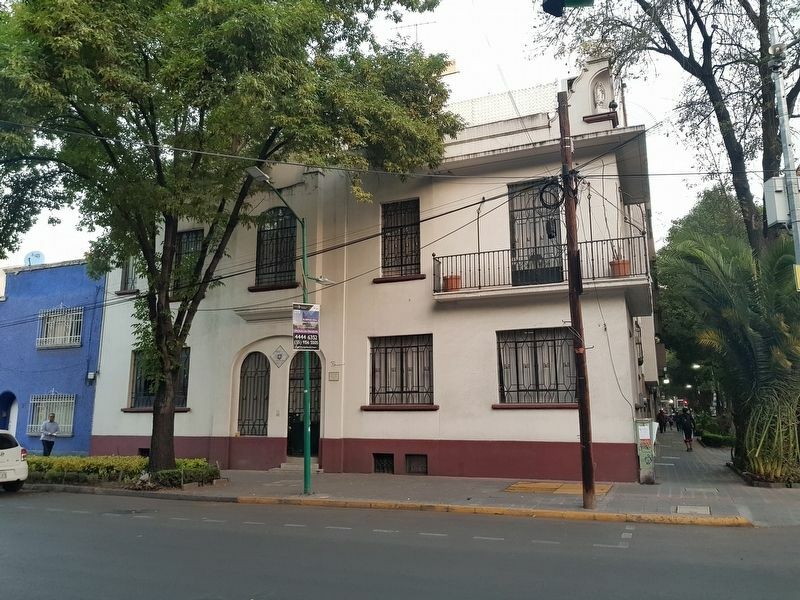 En este lugar estuvo la casa del Presidente Francisco I. Madero. incendiada en los dias de la decena trágica en 1913. 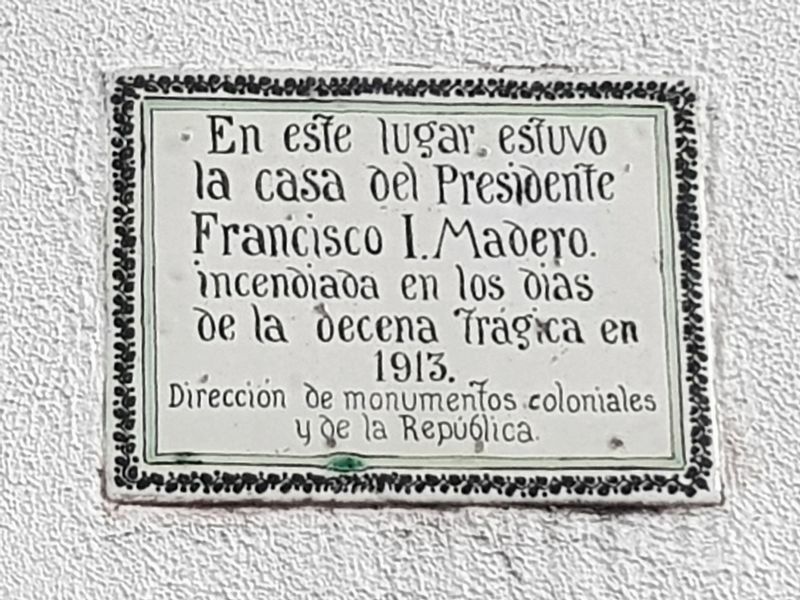 In this place was the house of President Francisco I. Madero, burned during the Ten Tragic Days in 1913. Location. 19° 25.657′ N, 99° 9.44′ W. Marker is in Ciudad de Mexico, Ciudad de México. Marker is at the intersection of Calle Liverpool and Berlín, on the right when traveling west on Calle Liverpool. Touch for map. Marker is at or near this postal address: Calle Liverpool 25, Ciudad de Mexico, Ciudad de México 06600, Mexico. Touch for directions. The marker is to the right of the main entrance to the current building on the property. León Guzmán (approx. 0.4 kilometers away); Coronel Gregorio Méndez (approx. 0.4 kilometers away); Manuel Ojinaga (approx. 0.4 kilometers away); Francisco Zarco (approx. 0.4 kilometers away); Plutarco González (approx. half a kilometer away). Touch for a list and map of all markers in Ciudad de Mexico. More. Search the internet for House of Francisco I. Madero. Credits. This page was last revised on February 27, 2019. This page originally submitted on February 27, 2019, by J. Makali Bruton of Querétaro, Mexico. This page has been viewed 40 times since then. Photos: 1, 2. submitted on February 27, 2019, by J. Makali Bruton of Querétaro, Mexico.